Broady 0460.jpg, originally uploaded by harmonweddings.com. Look at the emotions. 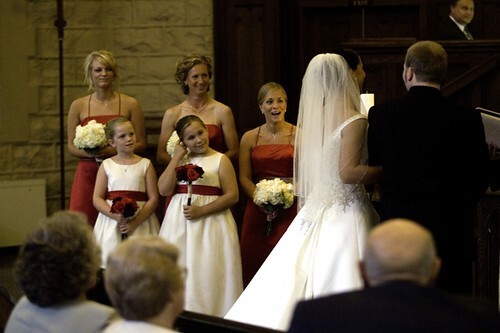 I love that the flower girl is fidgeting, too. Or, junior bridesmaid, more likely. Contact Stephen A Harmon, Louisville photographer, at 502-599-8483. Ask about our special, good now through March 15! We've had a lot of response, to call today to see if your date is still available.